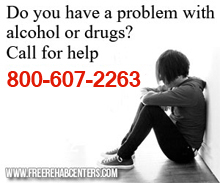 Kissimmee, FL Free Treatment Centers, Affordable Rehab Centers. Center for Drug Free Living, Osceola Counseling Center, provides intervention, outpatient counseling, relapse prevention, HIV testing (including Rapid), and substance abuse support groups. Outreach prevention for children and youth provides life skills classes, after school tutoring and a safe place for latchkey children.